The development process of each game is quite different from one another. To understand the process of racing game bike development you must understand the nitty-gritty of game development. Each racing game offers a different experience with a variety of different environments like the standard race track, A roller coaster track, On land, On snow, On water and much more. 1. Bring a Unique Game Idea: – Fabricating the blueprint of the gaming app is one of the most vital parts of the complete process. The unique game idea is the foundation of the success game development process. If the foundation is solid, there is a greater chance of success. To make a better foundation you must bring a unique and engaging idea. The whole idea is to bring your concept to fruition. 2. Make It Impressive: – To make your user retain your video game app, you must make it impressive. There are around millions of gaming app available on play store, however, only a few of them are performing well. To beat the competition, you must launch a brilliant game, bursting with loads of existing. Develop the game concept to share it with players and allow them to play the game in the most refined way. 3. Should Be Addictive: – Addiction is the key to make your game successful. There are millions of apps out of which, many of the apps are uninstalled in the very first week. Therefore, it is must bring the addictive element into play. To make the game addictive you must make the character fun and easy to understand, Create various levels depending on time span, offer alluring content like coins and extra lives, increase the difficulty level and, not to forget free rewards it attracts the players more. 5. Create a Stunning Design: – Communicate efficiently with your targeted audience and communicate effectively with them. We are surrounded by people who have a tendency to judge the book by its cover. Focus on visual design, art direction and establish strong compositions or layout to effectively guide the players. Make sure to use appealing colors and shapes, ensuring the engaging experience. Premium Versions: – Premium version may reduce the number of purchases, but if provided with a demo or free trial it can help you generate great revenue after completing the racing game development process. 7. Select The Technology: – For mobile game development, you must choose the technology wisely. There are many technologies available one must choose the one which suits your requirement. The technology you use must be compatible with the 3D racing Game and Unity racing Game without impacting the performance. Your racing game development, performance only depends on the technology you choose hence, be clear what technology you are going to use. 8. Choose Developer: – For adventure game racing design you need the best racing game developer. The developer is the heart and soul of the game, the complete process depends on the developer. They involve in the various aspects of game creation from coding to programming. They have the skills to convey your idea into reality while fulfilling the business aspects. To develop the successful game one must consider a team of specialist in the above-mentioned jobs. These are some of the most basic jobs which makes the game really compelling and help you achieve the immense success you never imagined. 1. Asphalt Xtreme: Rally Racing: – This is one of the most popular racing game of the year. It rules the world with a rating of 4.5. Its addictive features and approx 50 plus monster machines make it really lucrative. 2. Table Top Racing Free: – This award-winning game featuring 17mad-cap cars to master driving skills offers amazing gameplay. It has a 4.3 rating and with 5.6 millions of downloads. It’s free to download and offers a wonderful racing experience. 3. Real Racing 3: – Real racing offers 18 amazing racing tracks with 182 cars from manufacturers like Ford, Audi, Ferrari, Bugatti. It offers stunning graphics and impressive road maps to follow. This racing game is played in over 100 countries and loved by all. 4. GT Racing 2: – Get the real car racing experience by playing this amazing racing game. It features 67 cars from top manufacturers and offers exceptional gameplay to gamers around the world. Just like playing physical games helps you improve and strengthen your muscles exactly, in the same way, cognitive games help you boost your brain and improve brain performance. Reduce Stress: – Whether you are playing easy racing games or opting for an intense racing game it reduces stress magically. You can play easy racing games that will help you release the stress without the pressure of competition. Your rewarding performance can help you normalize the heart rate and will give you better control of your game to you. Improve Concentration Skills: – Taking all the information from the multiple sources and using it while playing the game increases the concentration. It helps in enhancing the ability to multitask. Every race demands complete focus and effortlessly it allows you to focus till the end. Enhance Memory: – Racing games help you boost your memory and helps you sharpen both long and short term memory. The trick to creating long-lasting memory is to play the game you love the most. It helps you to stimulate the brain and makes it active. It encourages you to focus on various tasks and allow you to perform complex tasks by keeping the anxiety at bay. Decision Making: – Racing racing game online multiplayer provides with different situations varying the degree of decision making. Gamers often play the same game repeatedly for the better result which helps them focus on problems and help in making a sound decision. If you play regularly, it allows you to gather and process the information more wisely. Strategy and Problem-Solving Skills: – Strategy and problem-solving skills is an organizational skill which helps in making a sound decision in the time of crisis. The racing game allows gamers to predict the situation and think about the advance action they must take in order to win the race. Deciding the ballpark to develop a game app is a little tricky. 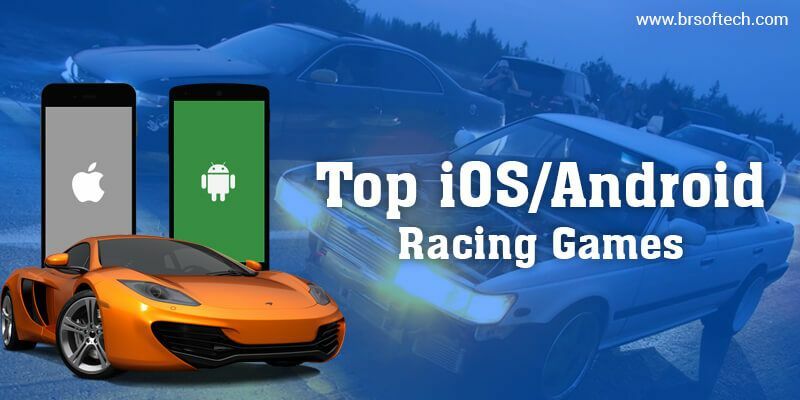 The cost of racing game app development depends on several factors. Mainly the expense of racing game app development depends on its infrastructure. BR Softech is one of the best Mobile Racing Game Development company. We provide with best racing games with the best Android Game Developer and iOS game developers. Our team of Android and iOS Game Development excels in developing high-quality games. The overall cost of developing a racing game is $5000 to $7000 monthly. 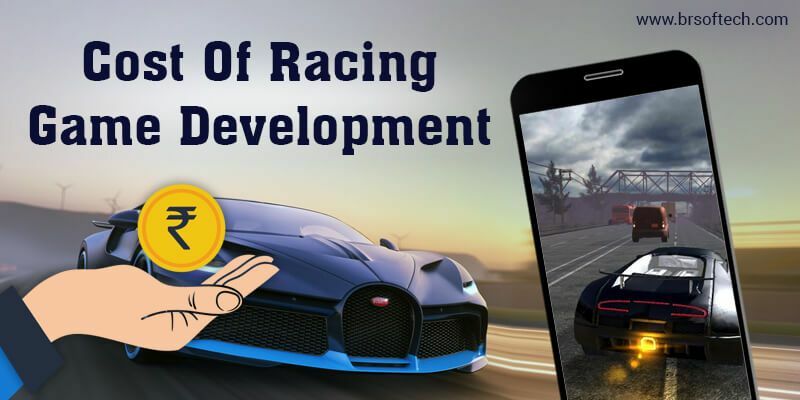 There are few other things which impact the cost of the racing game app development. Platform: – Which platform your targeted audience prefers. Advertisement: – Do you want to allow an endorsement through your app? In-app Purchase: – Do you wish to keep In-app purchase option in your app. Free-Premium: – Is your app free or premium? Product: – The product you are trying to sell on the app also impacts the cost. The cost may vary depending on the features and functionalities. Mostly complexity of your app decides the cost of the app. 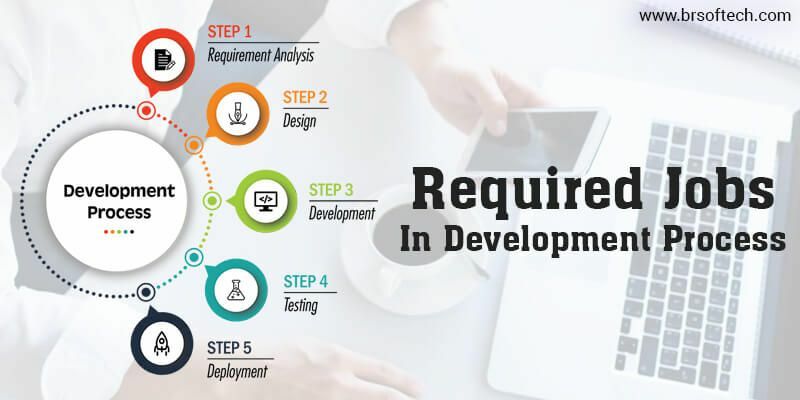 We at BR Softech helps you develop an app at affordable prices and provide with the best possible services using the latest trends and technologies.